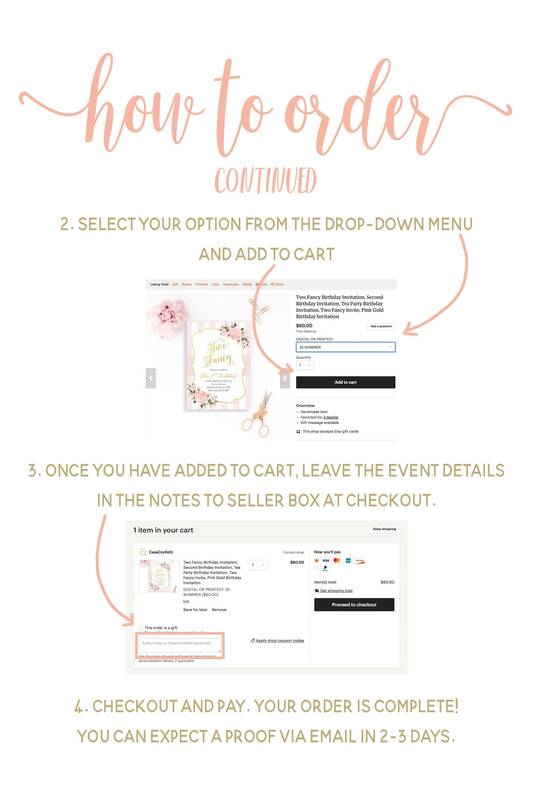 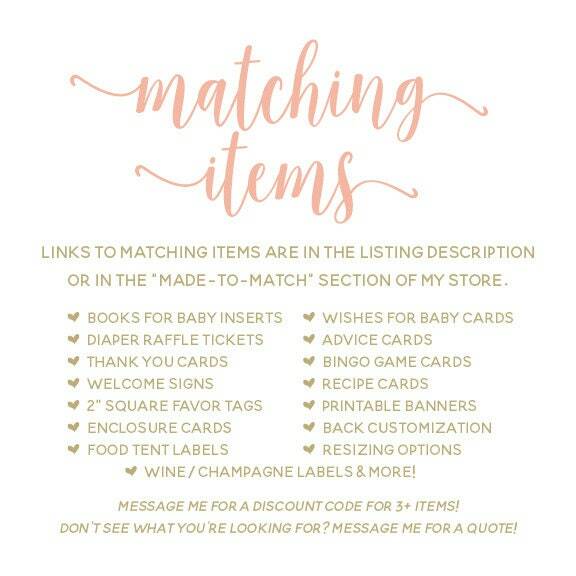 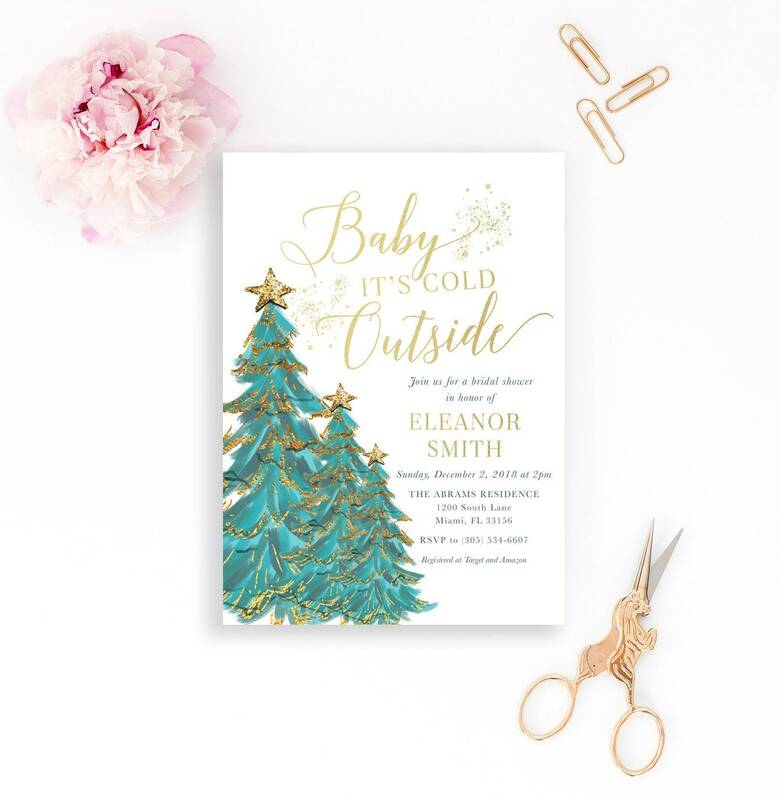 Baby, it's cold outside, but that's not going to stop you from celebrating the bride-to-be! 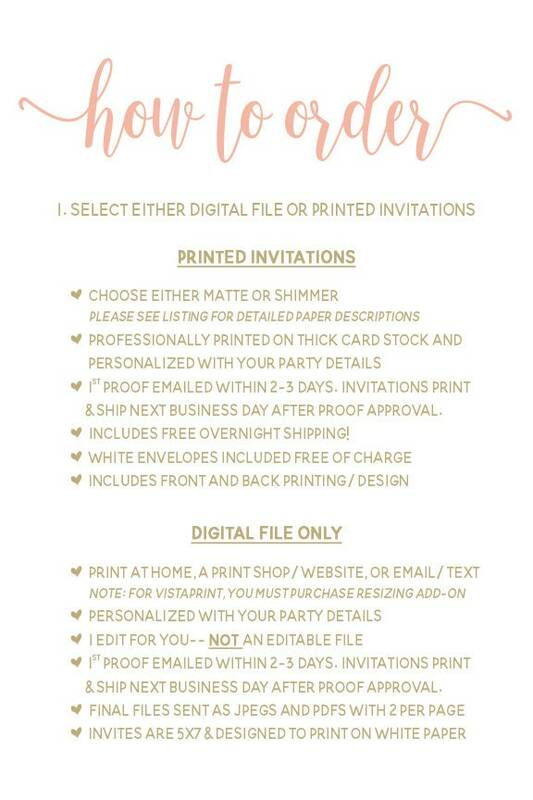 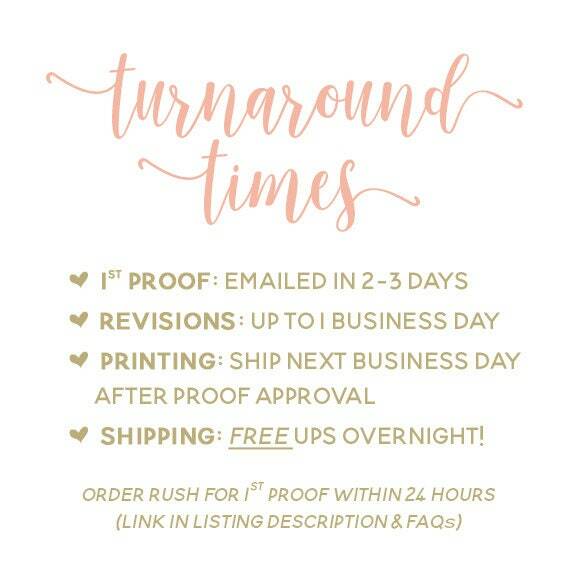 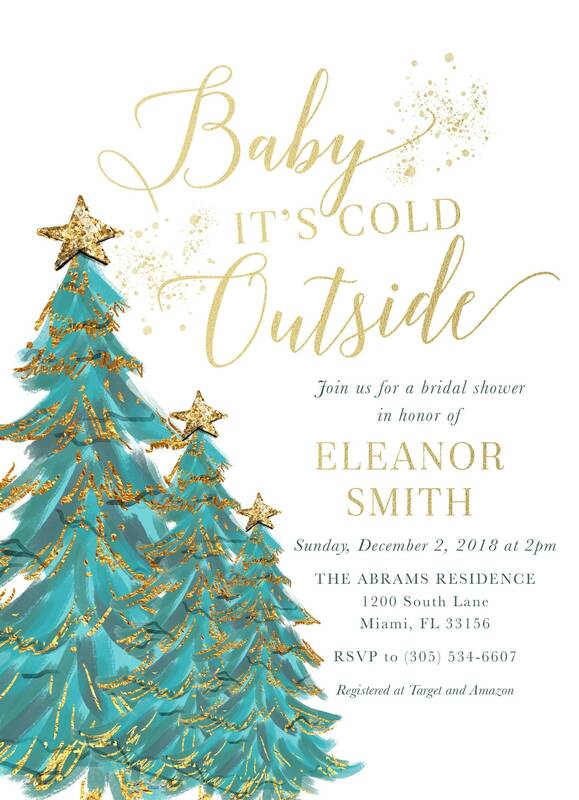 This pretty Christmas tree bridal shower invitation is so beautiful and perfect for your shower! 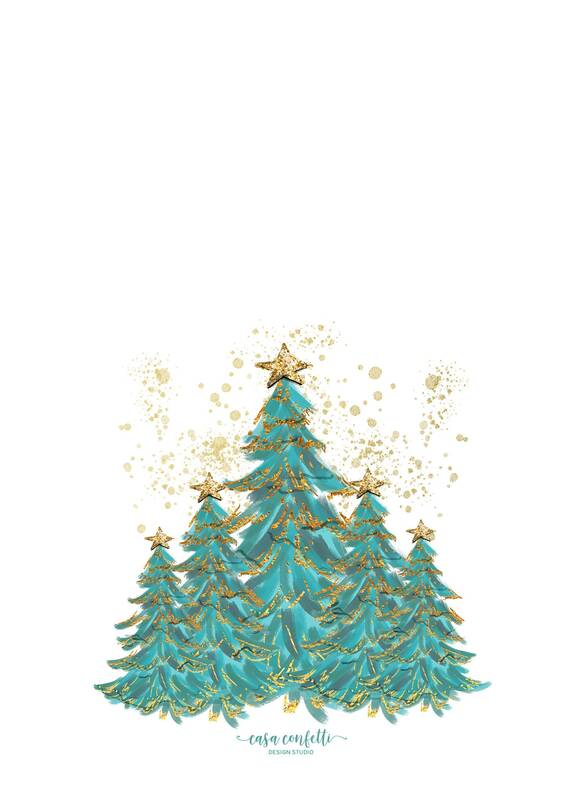 Pretty glitter and pine trees make a festive look that's absolutely perfect!